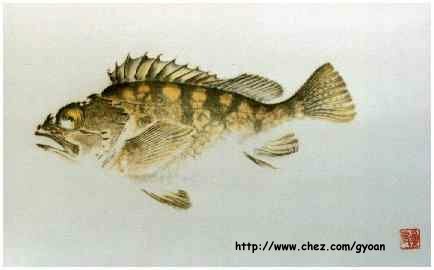 Welcome to the gyoan web site, the first French web site dedicated to "gyotaku"
The Japanese art technique, gyotaku, consist in reproducing the painted image of a fish on a fine surface by ising the fish itself for printing. Each detail is represented. It is unnecessary to add any final touches as the fishprint alone is a beautiful work of art.